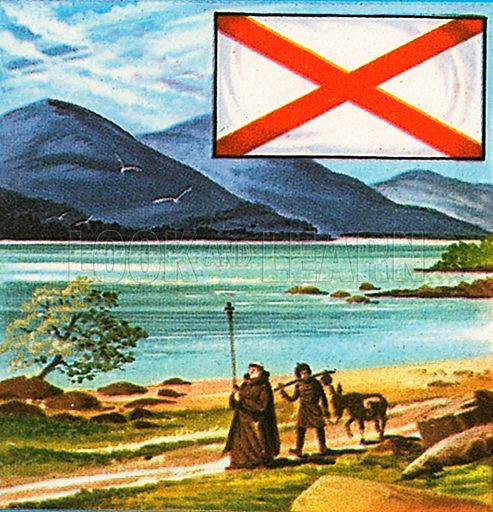 In 1801, the cross of St Patrick was added to the Union Flag. It represented the union of Ireland. The current flag has been in use since 1801 when the Kingdom of Ireland was formally united with the Kingdom of Great Britain. The St Patrick's cross is little used in Ireland; Eire uses a green, white and orange tricolour flag. Available worldwide for immediate download up to 3,925 x 4,076 pixels.